We want to expand the love of babywearing to both moms and dads. 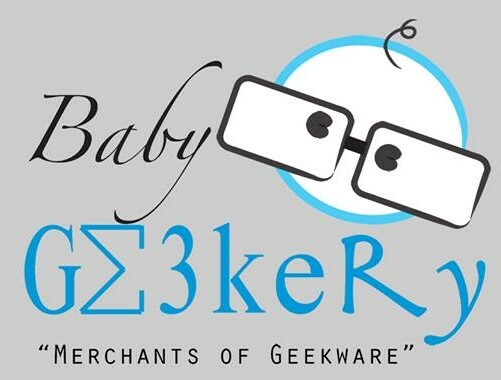 We know the babywearing market are full of mamas but there are also a handful of dads out there and definitely families that love all things geeky. We want to bring ALL the geeky things we love from our homes to yours. We are a small business and plan to stay as such, so please be patient with us as we take on this little venture. We plan to stay true to our customer base by the use of social media so we want our customer to feel like we are a community and we take your opinions into account when it comes to products and customer service. Feel free to follow us on facebook, our blog, and join our chat group to stay updated. All products you find on our site are approved and tested by our toddlers, in addition, all carriers have passed CPSIA requirements through the manufacturer. Please visit this Blog for different sizing info for each types of carriers we carry! Remember, carriers are like a pair of jeans, you have to find the one that is right for you and your baby. Collabortaions/wholesalers/retailers -this one is for other retailers. we'd love to work with you. Have something geeky in mind? if it fits our theme, we want to know. Drop us an email. Please email us to set up a layaway option that works for you. We will do layaways for any carriers on our website for up to 60 days (2 months) with a small non-refunable deposit through paypal. We would be happy to price match any big box store prices if you find the same items for cheaper somewhere else, simply let us know and we'll try our best to match it. Item has to be the same brand, print, model, etc to qualify for price match. Proof is required. please pm us for more info, we will need to verify your military status and may offer up to 10% off on selected brands. We are happy to ship to APO addresses. bulk discounts - we do not currently offer bulk discounts but we are happy to discouss with you on an individual basis if you are looking to buy a lot of products all at once. just drop us an email. May the force be with you and shop on!